The Russian passenger plane, carrying 224 people, crashed in Egypt’s North Sinai as a result of ‘external activity’, said the airline’s spokesperson. “The only reasonable explanation is that it was [due to] external activity,” said Alexander Smirnov, the deputy director of Metrojet. “The only explicable reason for the plane to have been destroyed in mid-air can be specific impact, purely mechanical, physical influence on the aircraft,” added the deputy director, ruling out any technical fault or pilot error. Despite the airliner’s claims, investigative sources have told Reuters that the airplane was not struck from the outside. Earlier, it was revealed that the plane had ‘disintegrated’ in the air and split into two. At a news conference hosted by Metrojet in Moscow, the airline acknowledged that the same plane had previously suffered damage in 2001 during take-off, but that the damage was completely repaired and not a factor for the crash. On Saturday, flight Kogalymavia 9268, carrying 200 adults, 17 children and seven crew members, crashed in Egypt’s North Sinai shortly after take off. More than 160 bodies have since been recovered and transported to Russia. 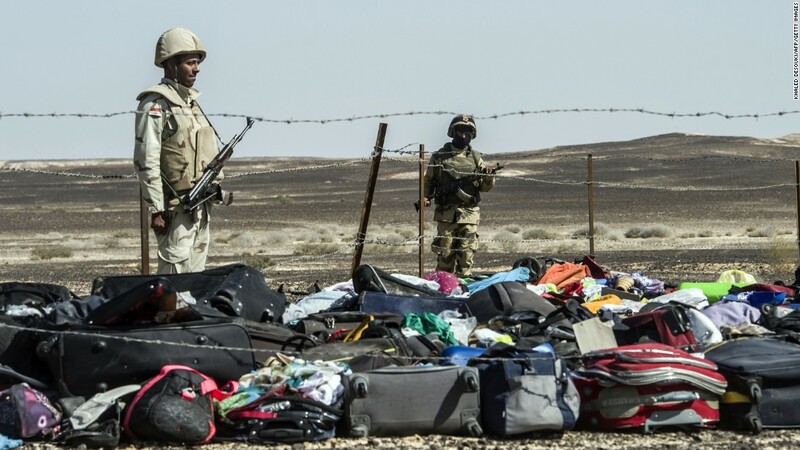 While the exact cause remains unclear, Egypt’s Prime Minister Sherif Ismail announced that the black box had been recovered and that it should likely shed light onto the causes of the crash. The blackbox is expected to be analysed in Egypt and Russia by specialists. Earlier claims by ISIS affiliate Wilayat Sinai that it was responsible for downing the Russian airplane have been denied by Egypt, Russia, and analysts across the world.